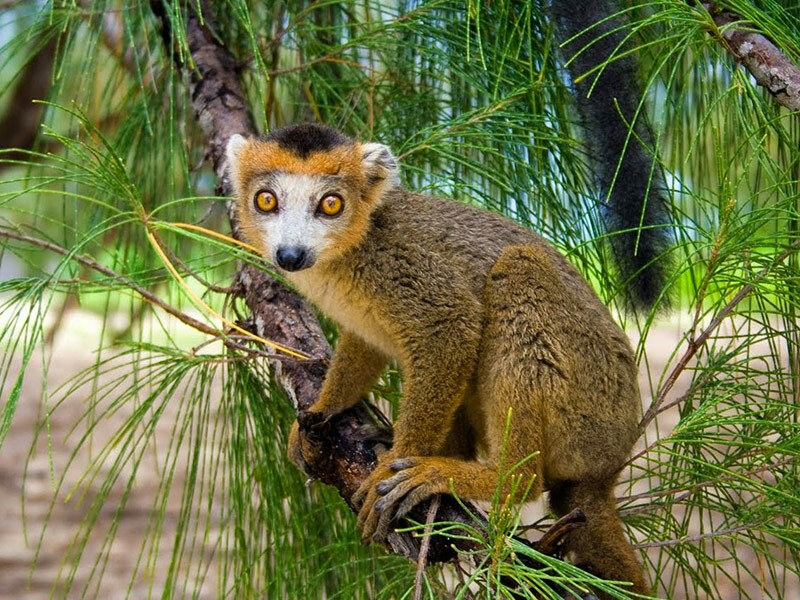 Book your next Madagascar Holiday with one of our expert travel agents. 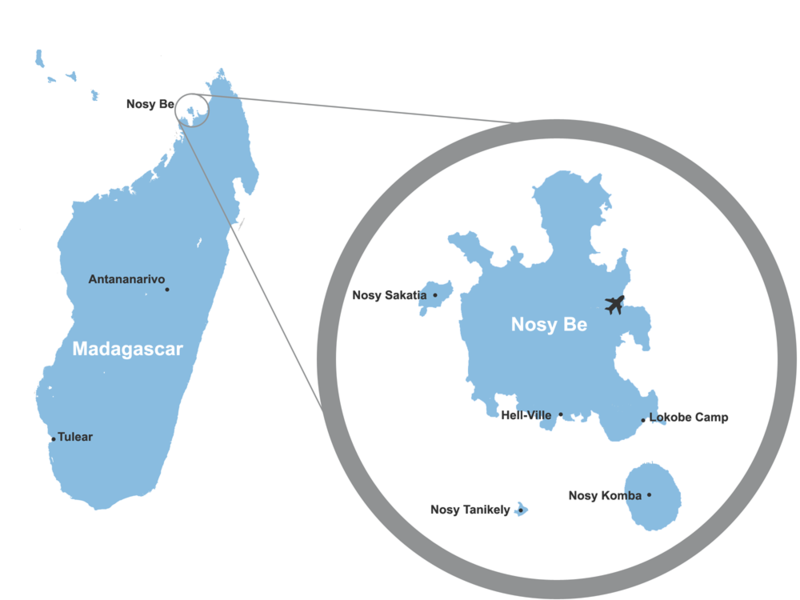 Fly direct to Nosy Be and enjoy diving, sea kayaking, fishing, strolling along deserted beaches, ice cold beer, fresh seafood, small local markets and lemurs all contribute to making this a unique holiday destination for the adventurous traveller. 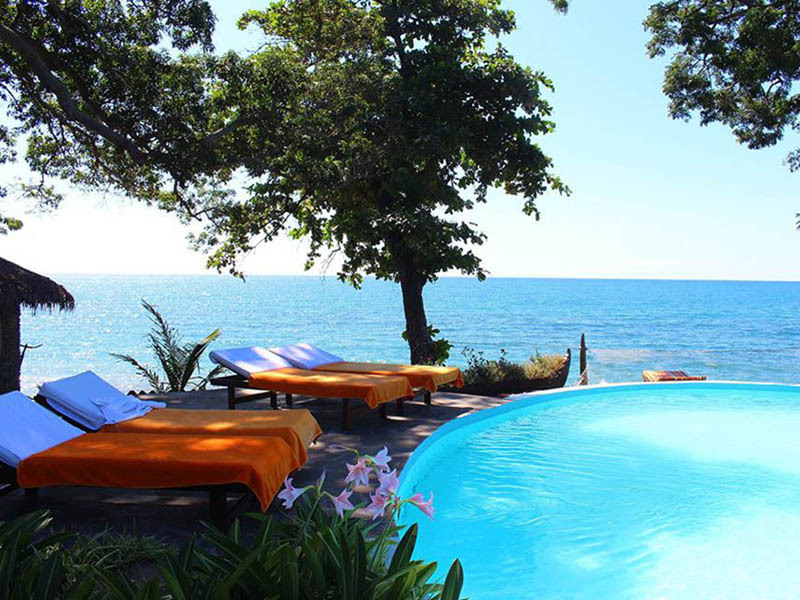 Our popular camping trip is suited to rustic, earthy travellers and for those wanting something more upmarket we offer Island Hopping trips, Honeymoon Packages, Diving, Kayak and Luxury Yacht Charters. 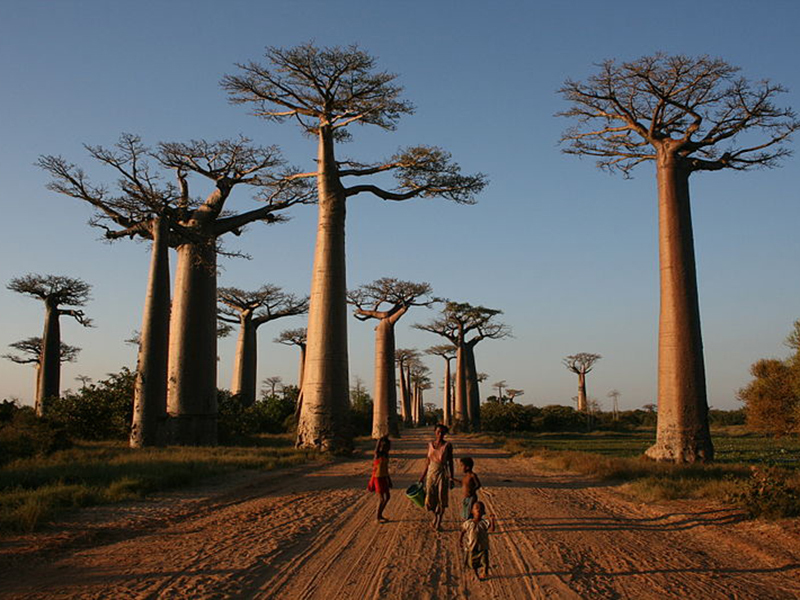 Let us tailor-make a Madagascar Holiday itinerary for you from anywhere in the world. 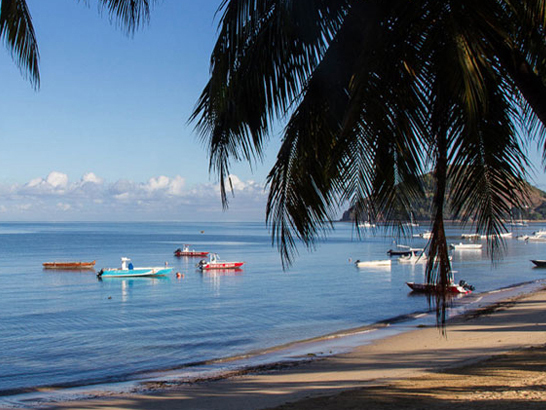 Explore the array of colours and sea life in the reefs. 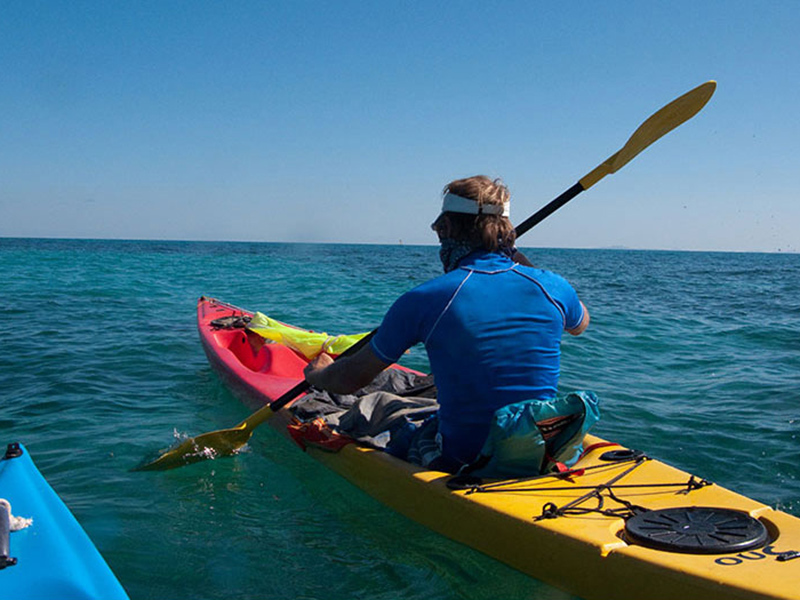 We paddle through areas rarely seen by tourists and commit to leaving no sign of our passage. 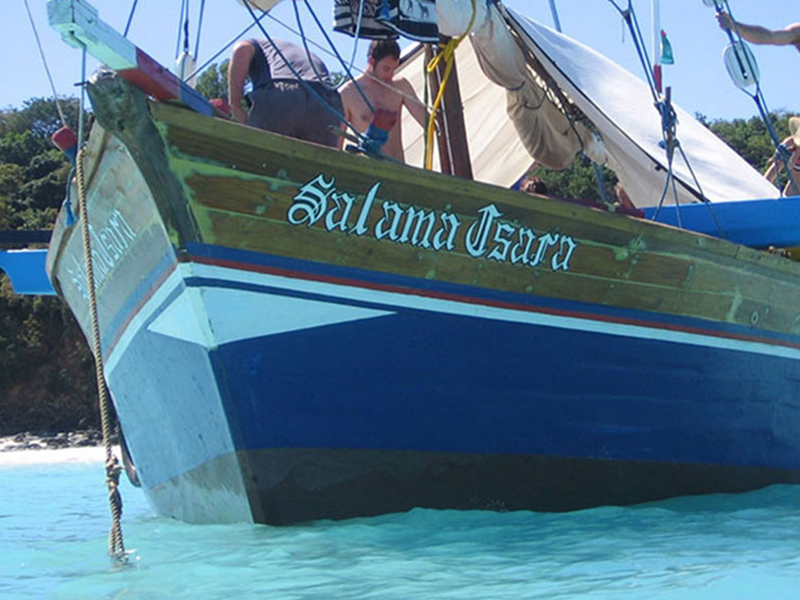 Journey back in time and embrace the Mora Mora Malagasy way of life on the Dhow Safari. It is a unique and unforgettable adventure. 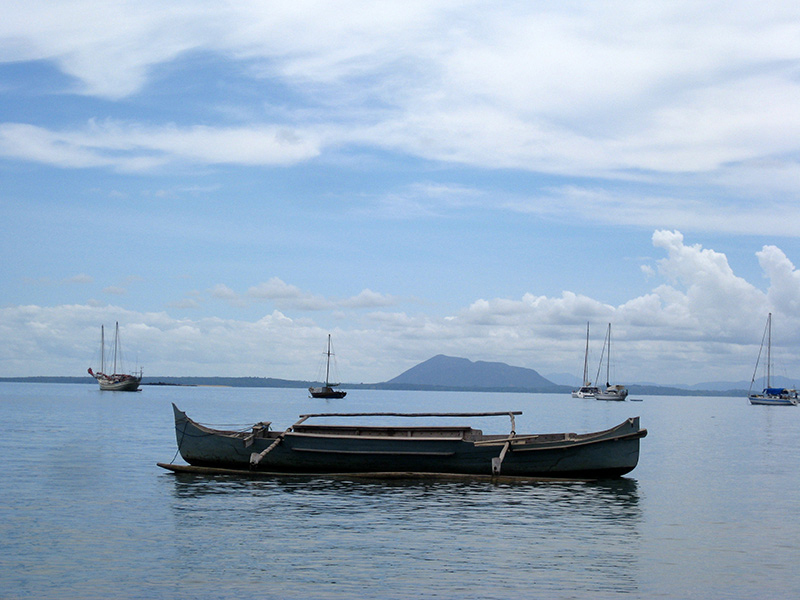 The palm-shaded beaches of Nosy Be, host eagle and manta rays as well as surgeonfish, triggerfish and barracuda. Sail to world-renowned surf spots including Flameballs in Anakao (just south of Tulear) or north there is Googles & Petes. 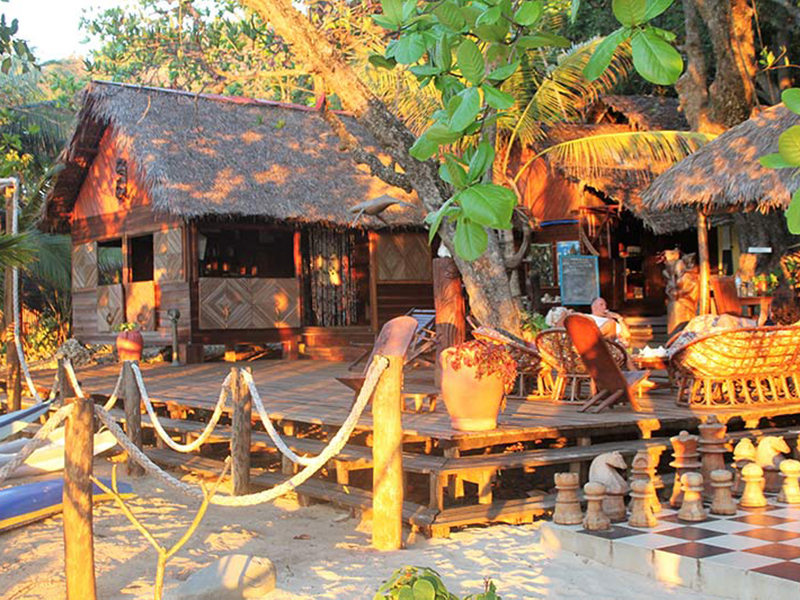 The surrounding attractions are; Sainte Marie, Nosy Be, Morondava, Fort-Dauphin and Diego Suarez. 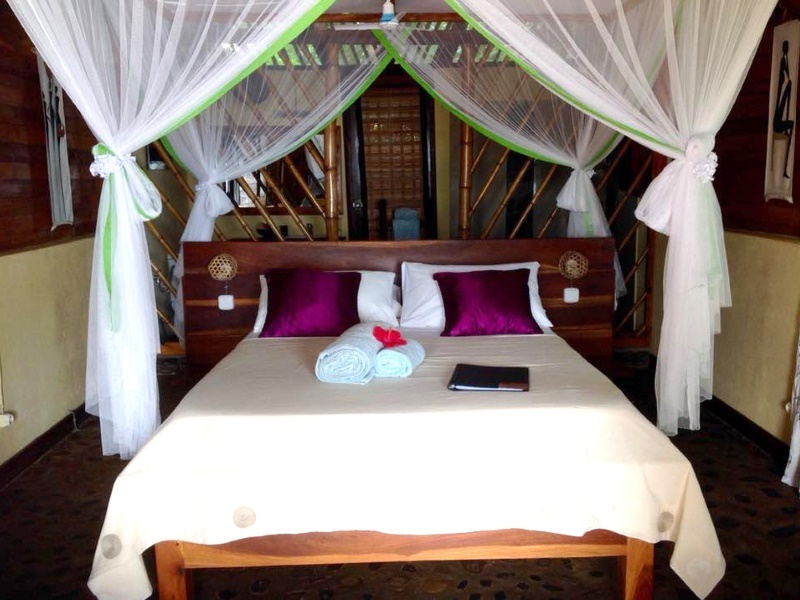 This comfortable little B&B consisting of four quaint bedrooms on the Nosy Komba island which is run by South African born, Marcine, will make your stay feel like a home-from-home island adventure. 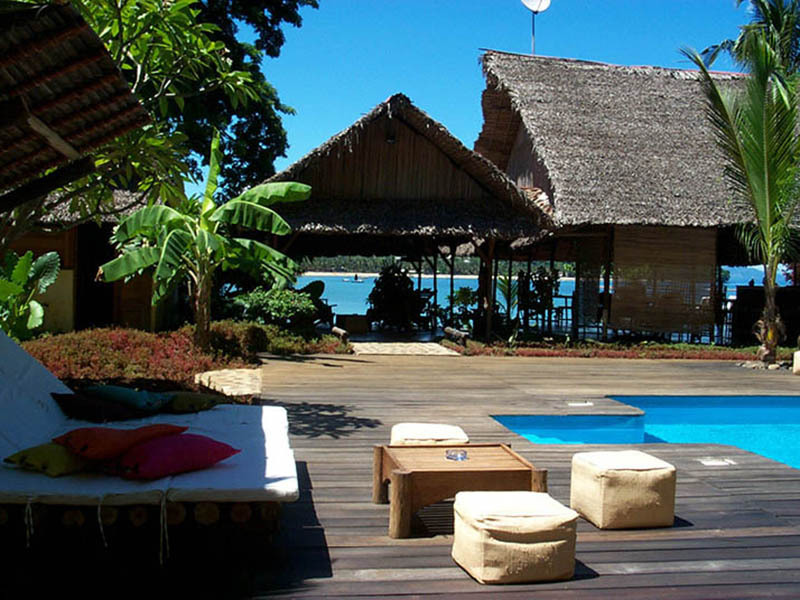 The lodge owner has been living on the island for more than 20 years with his family. He is a diving instructor and expert on the seabed and participated in documentaries on whale watching. 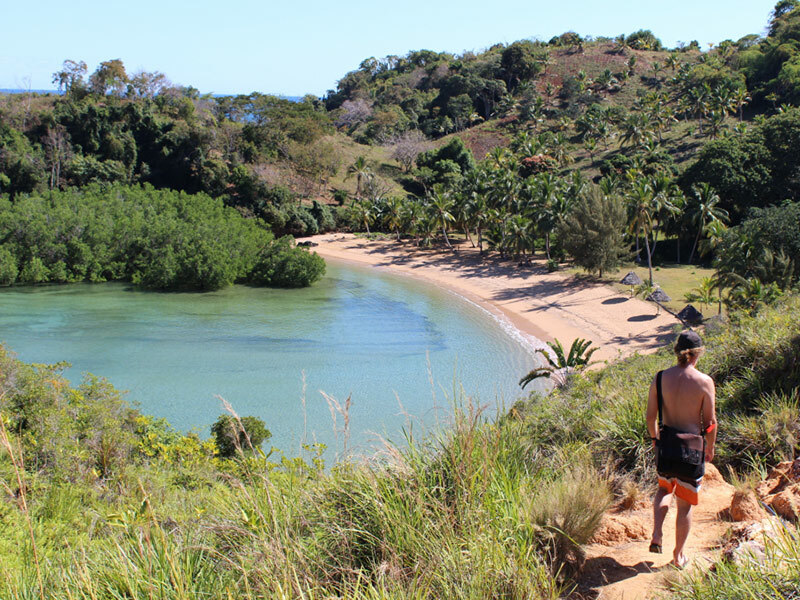 The beach has the most beautiful bay and extends over one kilometre to the village of Ambatoloaka, known for its typical bars and restaurants. 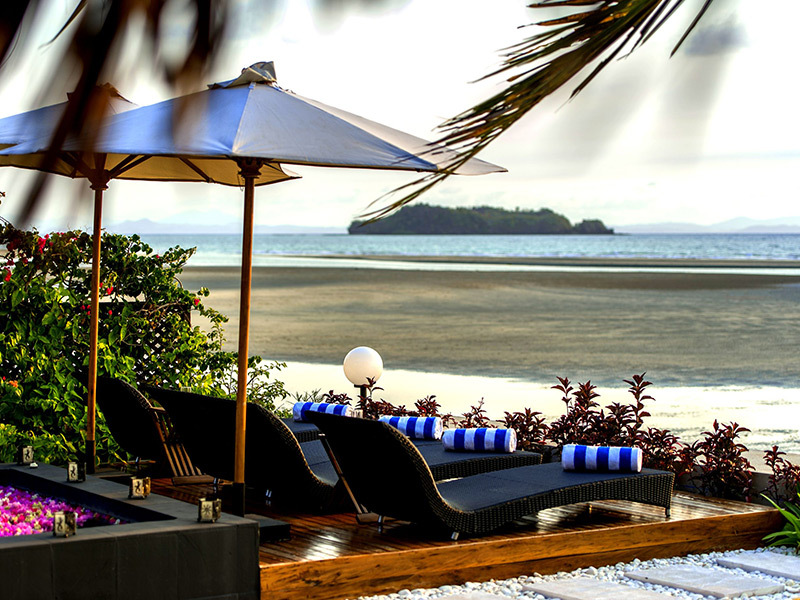 L'Heure Bleue has a unique position with a stunning view overlooking the bay. 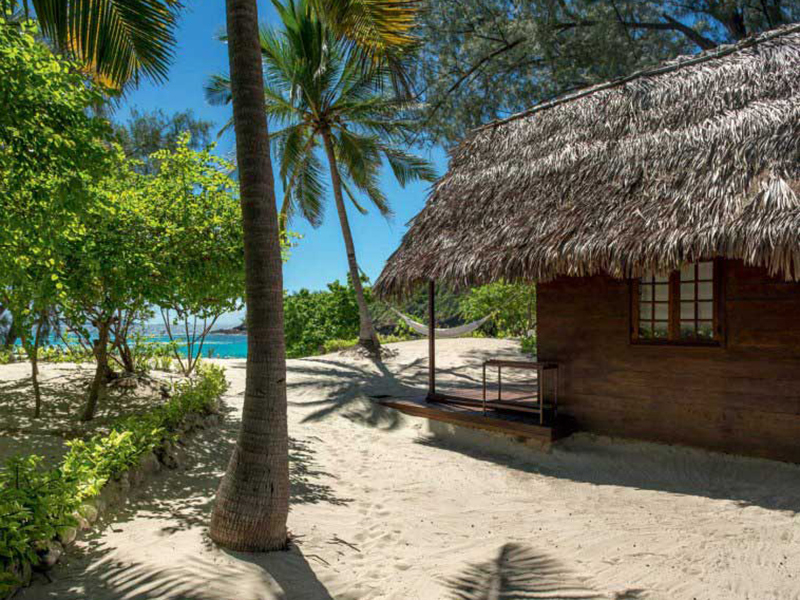 Member of the prestigious Eco-luxury label Awarded by Worldwide Hospitality Awards for the best sustainable development initiative Elected among 200 best addresses of the world by Elle Deco. 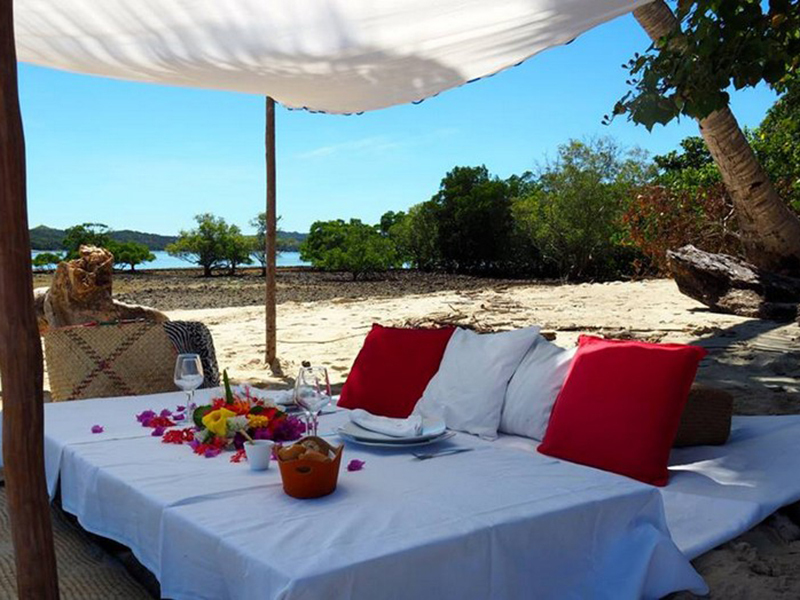 Constance Tsarabanjina is one of the best island lodges in Madagascar. 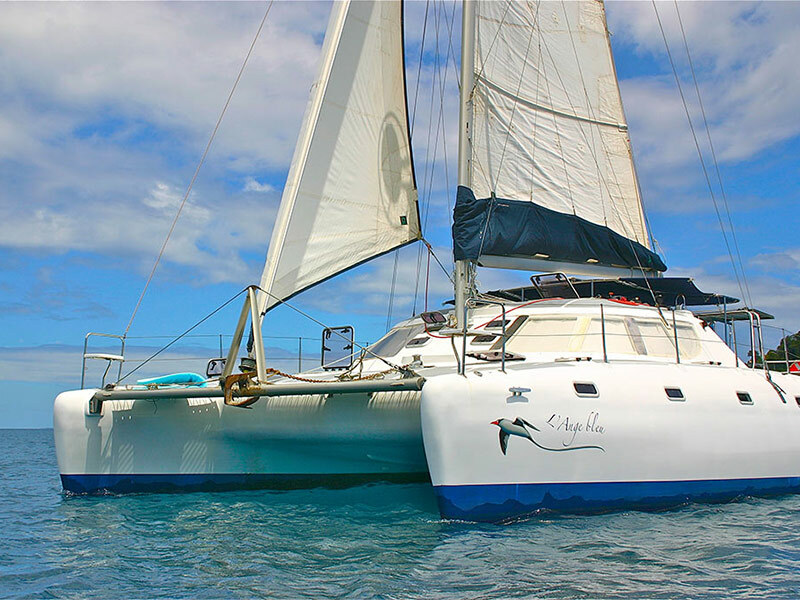 This is a great choice for honeymooners or for that romantic break away or for divers wanting to explore the area's pristine reefs. 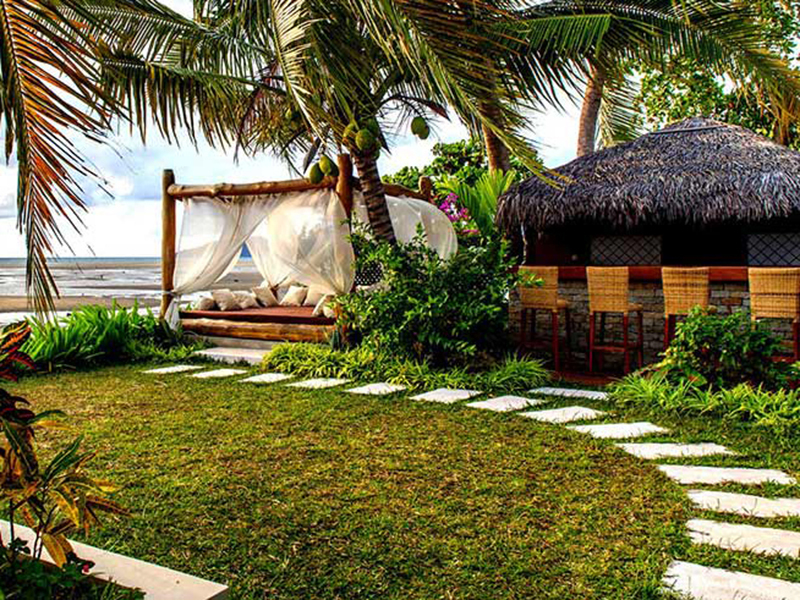 The five lodges consisting of suites and a family villa scattered in nature near the beach of Befefika. 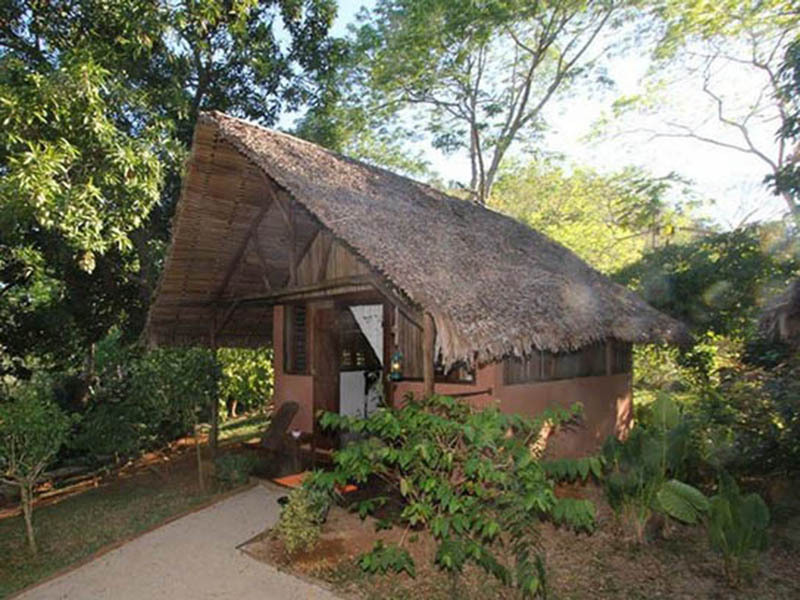 With the vision of the Manga Soa philosophy, each lodge is named after a star.